Why Did I Go Extinct? From Woolly Mammoths to Dodos, ever wonder why animals go extinct? These cute critters aren’t with us anymore, but they will always live in our hearts (and museums). Test your knowledge about dearly departed animals and the reasons why we can’t see them anymore. Who knows, you may even see an animal you never knew existed! The Falkland Islands Wolf (Dusicyon australis) was discovered in 1690. A curious and relatively tame animal, it went extinct in 1876 due to fur traders and hunters, believed to be a threat to sheep flocks. Carolina Parakeets (Conuropsis carolinensis) were found in cypress and sycamore trees in the eastern US. Because of their feathers, impact on crops, and competition with bees, the last bird died at the Cincinnati Zoo in 1918. The Mauritian Duck (Anas theodori), like the famous Dodo Bird, was hunted to extinction in 1696. This happened very quickly, as they were abundant on the island in 1681, only fifteen years prior. The New Zealand Quail (Coturnix novaezelandiae) went extinct in 1875 when introduced diseases by invasive gamebirds, although some think it was due to predation and habitat loss. The Passenger Pigeon (Ectopistes migratorius) was once one of the most abundant birds in North America that flew in flocks of millions. Deforestation, excessive hunting, and loss of their social structure fueled the extinction, with the last bird (Martha) dying in 1914. Endemic to Australia, the Pig-Footed Bandicoot (Chaeropus ecaudatus) was no pig. It was a dainty marsupial that ate grass, roots, and insects. It went extinct due to predation by feral cats and red foxes in 1901. The Pinta Island Tortoise (Chelonoidis abingdonii) was endemic to a single island in the Galapagos Islands. The species suffered heavy hunting and loss of forest habitat due to introduced goats. The last individual (Lonesome George) was alone for forty years before he passed away in 2012. 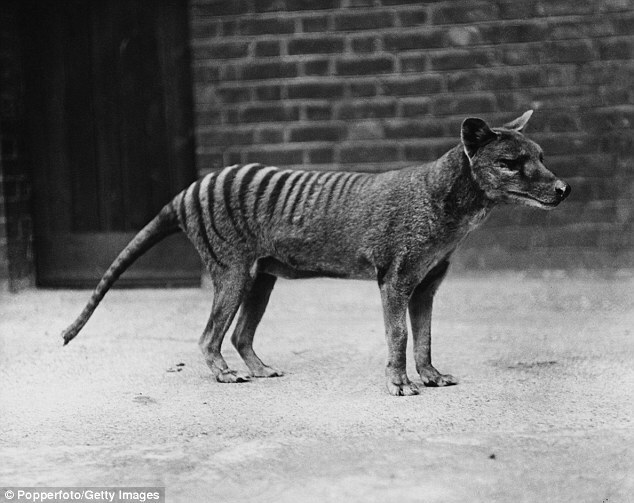 The Thylacine (Thylacinus cynocephalus) was a carnivorous marsupial endemic to Tasmania. It suffered heavy persecution and hunting due to a perceived threat to sheep and a need for museum and zoo specimens. The last individual, a female named Benjamin, died in 1936 from exposure.